…Tough on standards, easy on people. Standards are non-negotiable. People need to be tended to, cared for, and supported. Then they will meet your standards. Thank you so much for doing this with us! Can you tell us a story about what events have drawn you to this specific career path? My struggles early in life shaped me as a leader. All strong leaders have certain qualities such as perseverance and grit, but my rough start gave me an extra edge — a drive and determination to always advance and be better today than we were yesterday. I have overcome adversity and built a resilience that has gotten our company through some tough times. My rough childhood along with my life experience learning on the job — has been incredibly valuable to my success. My story also is an important reminder that we cannot judge someone’s potential at such an early age and assume they won’t amount to anything. I have a compassion for my associates and others who are working to grow and improve their situations. That’s why I am so passionate about finding ways to help them succeed. 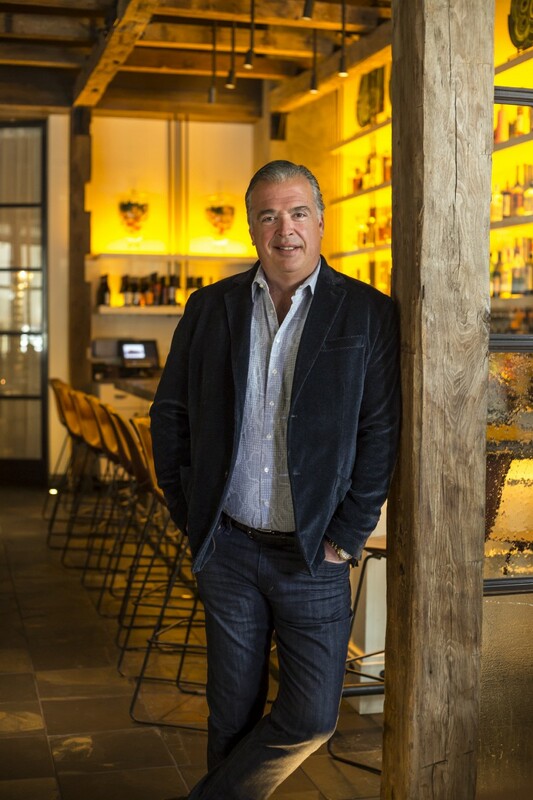 I went from a high school dropout and teenage runaway to a nationally-renowned restaurateur who sold two of my most popular restaurant concepts for $92 million. I know the single most important factor in the company’s success is its culture based on values that have been around since day one. We put our people first — in turn, our associatesstay for 5, 10, 15, 20, even 25 years as proven by extremely low turnover rates, which are consistently well below national restaurant averages. We always prioritize culture over profit, and yet, our bottom line is higher than that of comparable companies. Can you share your story of Grit and Success? First can you tell us a story about the hard times that you faced when you first started your journey? I was in high school, graduated with a 1.05 GPA, was a small time drug dealer, the last child in my single mom’s household, and she didn’t have any extra money for me so if I wanted anything for myself, I had to get a job. Washing dishes was the second real job I ever held. The first was delivering newspapers and I got fired from that! Washing dishes at the Cork and Cleaver, a local steakhouse, turned out to be a great option for me. Working there quickly led to other opportunities in the restaurant industry and I progressed to become a host person as well as a line cook. It started out just as a job, but within a short period of time I had an epiphany that I loved this business and overnight went from being the laziest guy in the place, working for beer money, to the hardest working guy. I had found my career. Where did you get the drive to continue even though things were so hard? The next day, I showed up at work a changed person. In less than 24 hours, I’d changed direction 180 degrees to become the hardest working guy in the kitchen. I had goals now, and for the first time in my life, I could envision a future for myself That made all the difference. So how did Grit lead to your eventual success? How did Grit turn things around? After spending six years at the 55 Restaurant Group, I was fired and felt alone. I had less than $10,000 to my name so I had to figure out my next move quickly. The Monday morning after I was fired, I woke up and sat down with a pen and a yellow legal pad, trying to think clearly about how to proceed. If my dream had been to start a restaurant, my first step would have been to head out the door and look at real estate. But my plan was to start a restaurant company, which was a very different undertaking, During the next few weeks, I worked on, developed and wrote out my ideal company culture and values. One thing I learned without a doubt was that when the staff was happy, restaurants functioned well, guests were happier, and the quality of everything went up. Could I create a company in which associates genuinely liked to be at work, and were valued as the most important part of the business? With the company culture and values down on paper, I was ready to find a location. I struck a preliminary deal with the landlord of the Battleship Building and needed to raise $600,000. I needed to write a highly convincing business plan. Fundraising was an excruciating process filled with rejection, but after four grueling months, I got there. Then the first disaster struck. The landlord had run into financial trouble, had to declare bankruptcy and my restaurant was not part of the equation. I found a second location, a meat-market space, redid my business plan for the new location and put together a new legal partnership offering. This time I needed only $400,000, so I hit the pavement again and returned to my investors, giving them back their uncashed checks along with the new business plan. Some lost interest or faith, but by February 1993, I had raised $360,000. That’s when everything came to a crashing halt. The money dried up. A do-or-die meeting was coming up on Friday morning with my two main partners. If I couldn’t move forward, they would pull out. I’d worn out my contacts long ago, but an idea came to me. One of my investors was a wealthy man named Bob Liebert. I got a meeting with him and asked him for $30,000. I was hoping he would agree to cover half that amount, which would get me to $375,000 — enough I felt to buy more time at the meeting the next morning. Just like that, he wrote me a personal check for the entire $30,000, saying, “Pay me back when you can.” The next day, I showed up at the meeting with my construction manager and my attorney with $390,000 worth of checks in my hand. My construction manager called two friends and said he wanted them each to put in $5,000 into a restaurant company we were starting. “Cameron will come and pick the check up later. Is that okay?” It was, and I did. Never in my wildest dreams did I imagine we would be where we are today and have opened nearly 100 restaurants counting those sold to Ruth’s Hospitality Group in 2008, and the Rusty Bucket Restaurants. I knew we would have multiple restaurants, and multiple concepts, but we have exceeded anything I could have imagined . Today, CMR is celebrating 25 years in business, has 60 restaurants from coast to coast, employs almost 5,000 people, and generates over $300 million in annual sales. The single most important factor in the company’s success is its culture based on values that have been around since day one. We put our people first — in turn, our associates stay for 5, 10, 15, 20, even 25 years as proven by extremely low turnover rates, which are consistently well below national restaurant averages. In fact, the national average for management turnover is 50 percent. Ours is 5 percent. We always prioritize culture over profit, and yet, our bottom line is higher than that of comparable companies. CMR has debunked this idea by building a restaurant company for its people, by its people. 1. Never give up. Always find a way to solve a problem. 2. Remember, it’s always the darkest hour before dawn. Many times I have had a solution come to be just when there seems not to be one in sight. 3. Great restaurateuring is difficult. If it was easy, anyone could do it. It is supposed to be hard, and achieving success is difficult. 4. Tough on standards, easy on people. Standards are non-negotiable. People need to be tended to, cared for, and supported. Then they will meet your standards. 5. Positive Mentality. You have to display it and have it every day. If you don’t, no one else will. It always has to start with you. Is there a person who you are grateful towards who helped you when things were tough? Share story? Success is never achieved alone. I remember many times calling on friends in times of need. It was key to our success to be able to have friends to lean on once in a while. We all need that. For our 25th anniversary this fall, we focused our efforts in Columbus, our hometown and the reason we are successful and able to grow nationally. CMR made a $25,000 donation to the Mid-Ohio Foodbank as well as distributing 500 box lunches each to Serving Our Neighbors (SON) Ministries and the Homeless Families Foundation. In addition, CMR associates made hot meals for residents of LSS Faith Mission for breakfast, Faith on 8th for lunch, and then end the day at LSS Faith Mission and the YMCA Van Buren Shelter to provide hot meals for dinner. To say “thank you” to associates who work each day to deliver genuine hospitality, CMR kicked off its 25th anniversary celebration by closing all central Ohio CMR locations at 8:00 p.m. on Sept. 30 so all associates could attend an anniversary party. In addition, CMR offered a $25,000 associate giveaway during the month of October where associates received candy bars with silver tickets valued at $1, $50 or $100. KIPP Columbus. It is an incredible honor to give back to the community that has embraced our company for 25 years and provided the foundation for thousands of our associates to build meaningful and rewarding hospitality careers. 2019 is going to an incredible year of growth and new concepts. 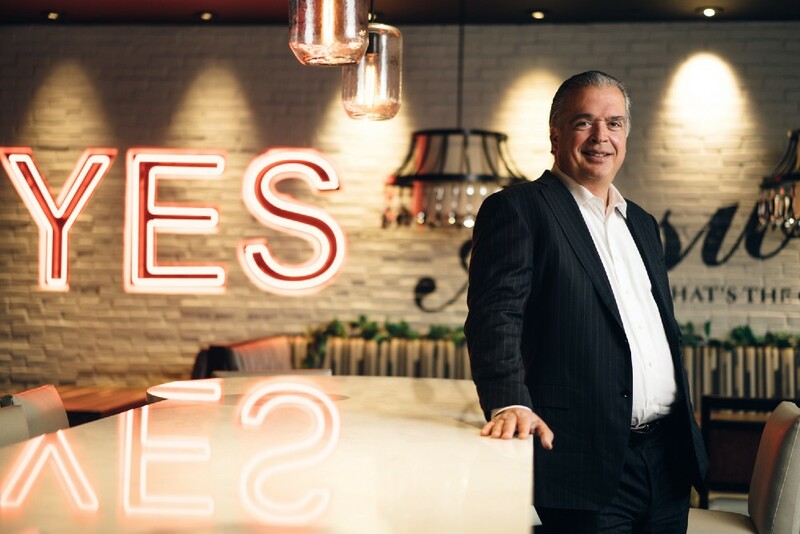 Because our culture of openness encourages our associates to try different positions within the company, there will be great opportunities for our team to grow in their careers with these new concepts and the expansion of our Ocean Prime brand. We are continuing an upward trajectory for growth, including opening five new restaurants/concepts. What advice would you give to other executives or founders to help their employees to thrive? It’s one thing to say that you care about your associates and display inspiring words on your office walls or in your employee manual. It’s another thing entirely to instill a positive culture throughout an organization that is meaningful in people’s daily work and lives. 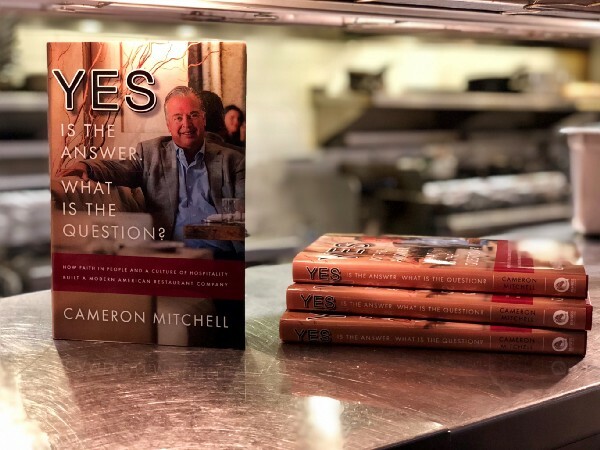 My company has survived in the restaurant industry for 25 years — a lifetime in an industry characterized by high failure rates — specifically because of the strength of our culture. Here are six keys to walking the talk when it comes to your company culture. Every CMR associate learns my “milkshake story” on their first day of training. It’s a story that affirms the, “Yes is the answer, what’s the question,” attitude that is the foundation of CMR’s culture. This attitude as a movement outside CMR would change the world! The Milkshake Story: One night, in the very early days of my career, I was dining with my family and tried to order a chocolate milkshake for my son. The server responded by letting me know that milkshakes were not on the menu. I asked the server to please check with the manager. The server returned after speaking with the manager and told me that, in fact, they did not serve milkshakes. I called the manager over and asked why a milkshake was not a possibility, noting that the restaurant had “a la mode” on the menu and chocolate syrup for another dessert. I inquired if those items could simply be tossed in a blender with some milk for a chocolate milkshake. The manger explained that one of those items was part of another dessert and that was going to affect the inventory if she used it for a milkshake. Ultimately the manager agreed to make the milkshake but informed me they would have to charge extra for it to make up for the loss of inventory of the other dessert. This story illustrates the opportunity to fulfill a simple request for the guest, and what a different ending the story would have if the guests were made happy instead of the manager being unable to think outside the box to find a way to give the guests a great dining experience. Milkshakes are served at the start of company meetings and are part of pre-shift rituals as a reminder of how saying yes should be the way to try to make their guests feel great. Saying “no” is easy; “yes” requires work. A woman working at a CMR restaurant had a customer who said he had to rush his meal to pick someone up from airport. The restaurant picked up the customer’s guest at the airport so the customer could enjoy his meal. It’s all done with the goal of making “raving fans” out of customers and associates as part of the company’s genuine hospitality mission. My advice for longevity is to always stay tuned to your values. When developing a business plan, be sure to write down what your company culture and values are first. You will need them during the hard times. Be thoughtful about growth. It’s about mixing patience with your determination to succeed. The entrepreneurial drive is wonderful but not when it comes at the expense of your people. I have learned that mental capital is just as valuable as financial and physical capital. I have been told by our associates that they feel like they are a part of something larger than themselves and that is very motivating. We take care of each other. In fact, when our Cap City Grandview remodel occurred, we decided it was the right thing to do to keep paying the associates even when the restaurant was shut down. We even placed some folks at our catering company, Cameron Mitchell Premier Events, to earn some extra money during that time. My mother quoted Dave’s Way by Ohio native Dave Thomas, founder of the Wendy’s restaurant chain. “Surround yourself with good people.” I took it to heart immediately. Years later, Dave and I would meet and become friends. Thank you so much for joining us. This was very inspirational. Phil Laboon wants to live in a world where actions speak louder than words, people shout their stories from roof tops, and where following one’s passion is the norm. As a serial entrepreneur and investor, his personal and professional life has spotlighted in hundreds of publications such as People Magazine, Rueters, Forbes, Inc, HuffingtonPost, and CBS This Morning. When he’s not building memorable brands or launching exciting start ups, you can find him backpacking exotic countries looking for new inspiration and challenges. His highly anticipated educational series - “GRIT - Building Everything From Nothing” - debuted across multiple national publications in November 2018. The Answer is ‘Yes,’ What’s the Question?